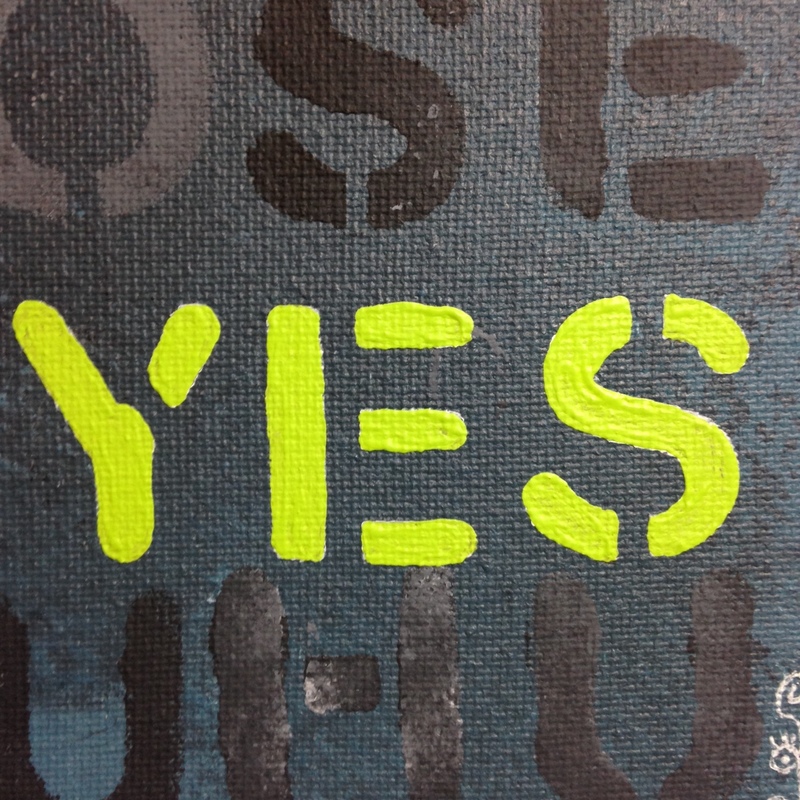 It’s Day 244 and there were about 40 artists I wanted to do today. It’s a hot day so that means extra hot in the house (we don’t have A/C in the bay area in most houses) and so I’m a little exhausted. 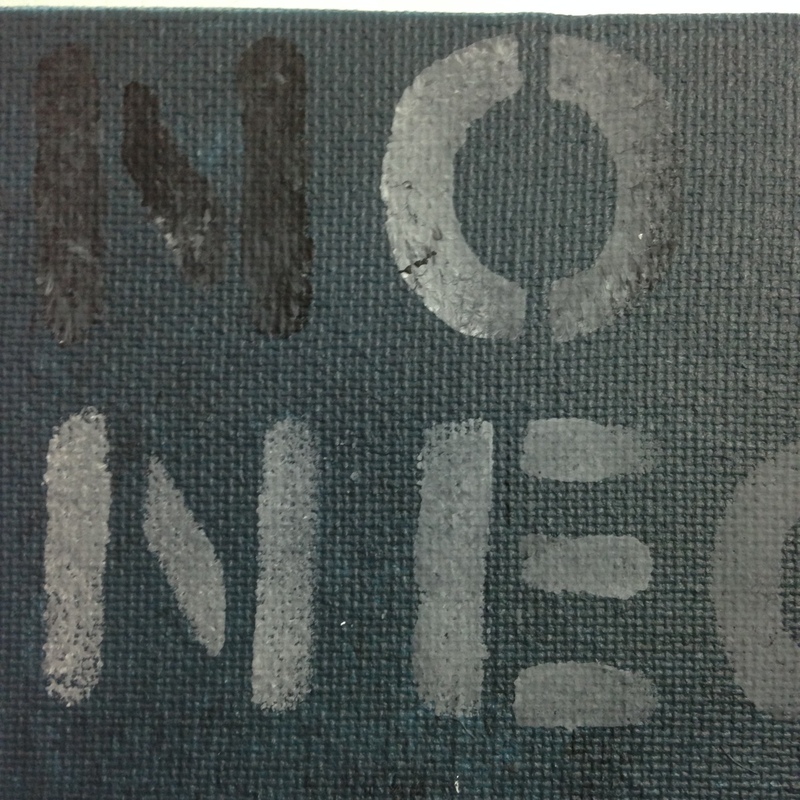 I decided to do a word artist today because after researching his pieces I had a concept. A concept that I try to live by every day. In everyday things, doing improv etc. I really liked the concept and I love how the painting turned out! Let it be a message to you all. 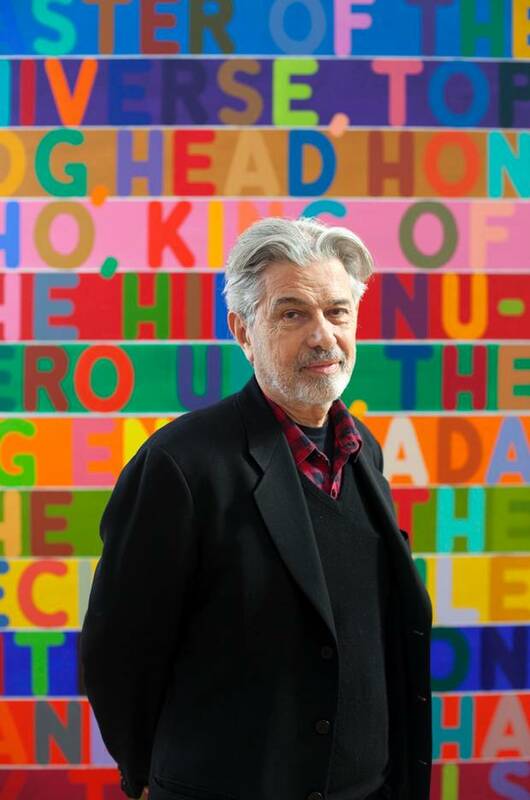 🙂 Join me in honoring Mel Bochner today. 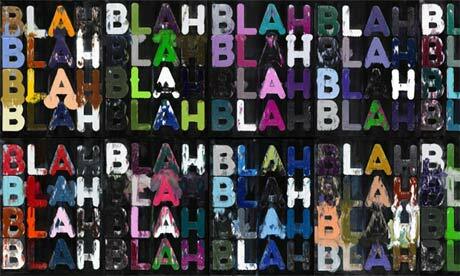 Mel Bochner (born 1940) is an American conceptual artist. 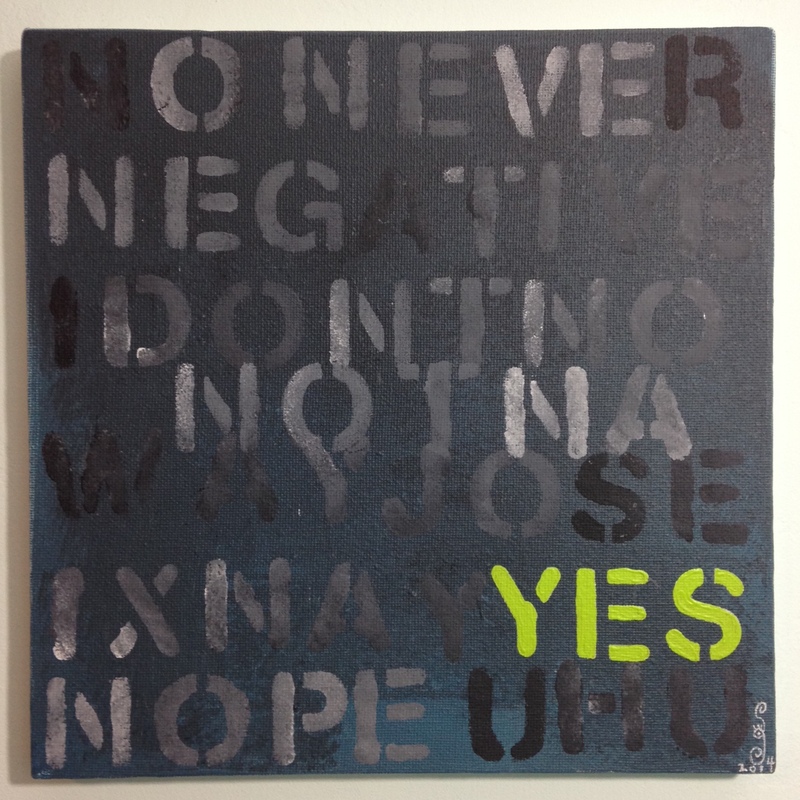 Mr. Bochner received his BFA in 1962 and honorary Doctor of Fine Arts in 2005 from the School of Art at Carnegie Mellon University. He lives in New York City. including using the walls of the gallery as the subject of the work and using photo documentation of ephemeral and performance works. 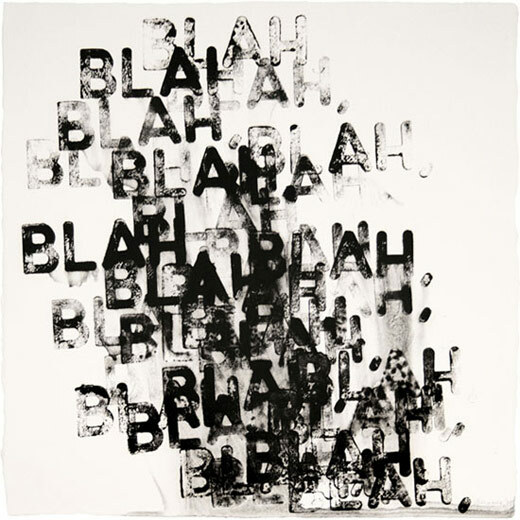 Bochner was born in Pittsburgh in 1940. In high school, he won early recognition for his talent from The Scholastic Art & Writing Awards and studied with Joseph Fitzpatrick, an art teacher who also taught gifted young artists such as Andy Warhol and Philip Pearlstein. He studied art at Carnegie Mellon University and graduated in 1962. After leaving Pittsburgh, he studied philosophy at Northwestern University near Chicago. He moved to New York in 1964 and worked as a guard at The Jewish Museum. In 1966, he was recruited by the influential art critic Dore Ashton to teach art history at the School of Visual Arts in New York. Things On Paper Not Necessarily Meant To Be Viewed As Art”, is regarded as a seminal show in the conceptual art movement. 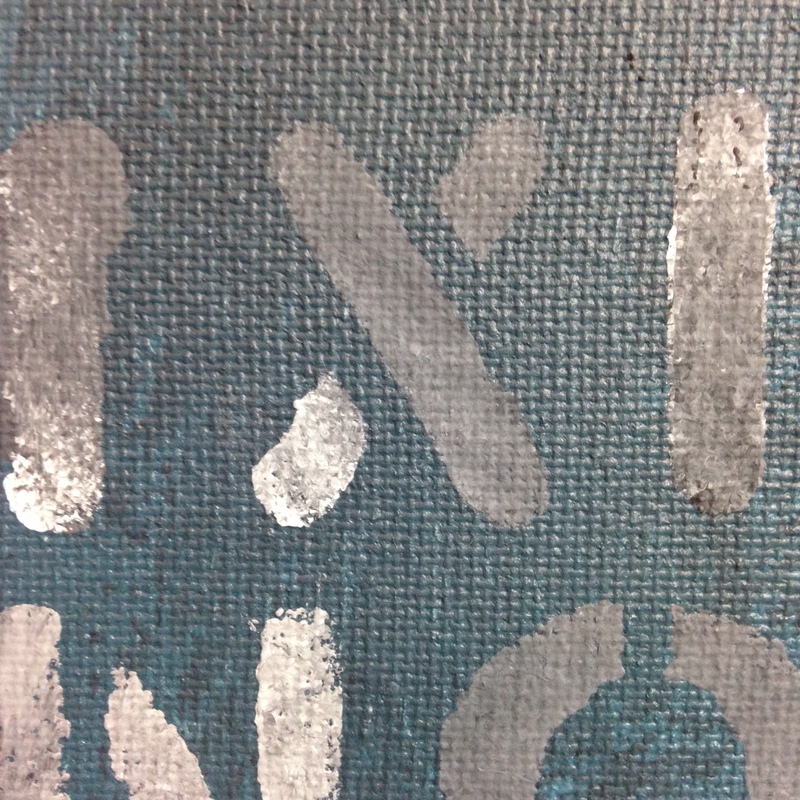 Bochner photocopied his friends’ working drawings, including a $3,051.16 fabricator’s bill from Donald Judd. He collected the copies in four black binders and displayed them on four pedestals. The show was remade at the Drawing Center, New York, in 1998. 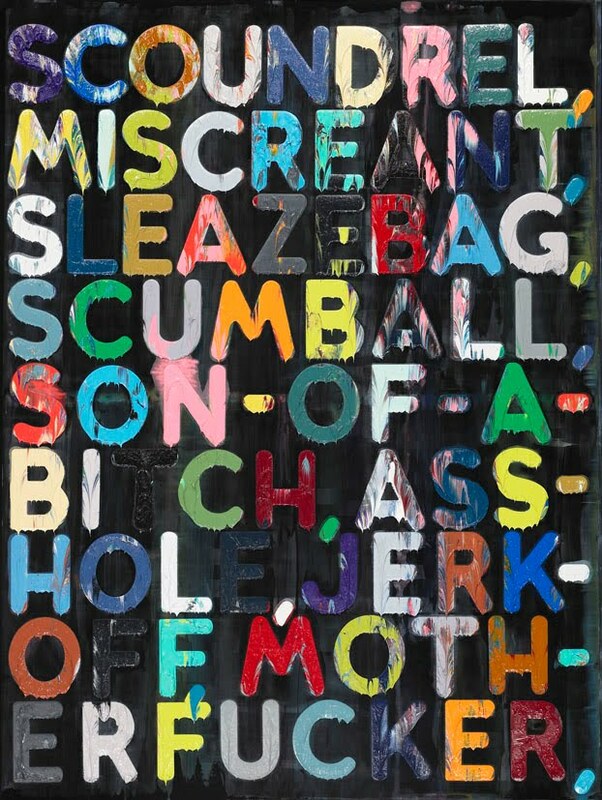 Bochner began making paintings in the late 1970s, and his paintings range from extremely colorful works containing words to works more clearly connected to the conceptual art he pioneered. For a 1998 work titled Event Horizon, for example, he arranged prestretched canvases of various sizes along a wall, each marked with a horizontal line and a number denoting its width in inches. Together, the lines appear to form a horizon, creating what Jeffrey Weiss in his catalog essay for Bochner’s 2007 exhibit Event Horizon called a representation of “the world as a fantasy of quantifiable truth.” Bochner made his first prints at Crown Point Press in the early 1970s, published by Parasol Press. He taught at Yale University as a teacher’s assistant in 1979 as senior critic in painting/printmaking, and in 2001 as adjunct professor. 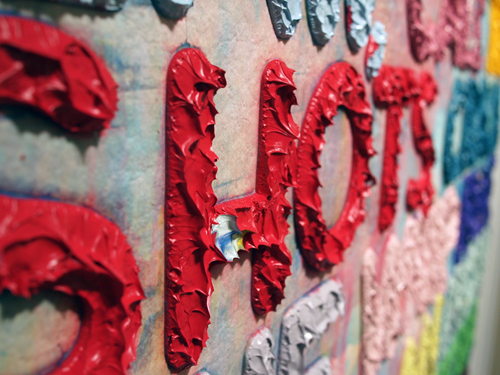 The Bochner retrospective is divided between the university art gallery and the Hewlett Gallery in the College of Fine Arts, a short walk away. In the catalogue, Miss King and Charles Stuckey do a fine job of elucidation. Their time was well spent. 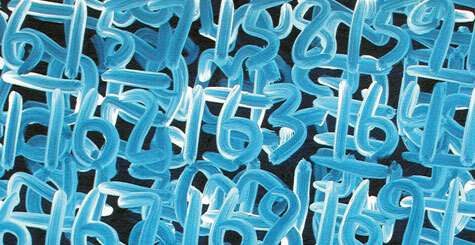 Detail of Mel Bochner, “Counting: 4 Rotations (Continuous) #2”, 1997, oil on shellac-prepared Arches watercolor paper, 30 x 22 in. Collection of the artist. 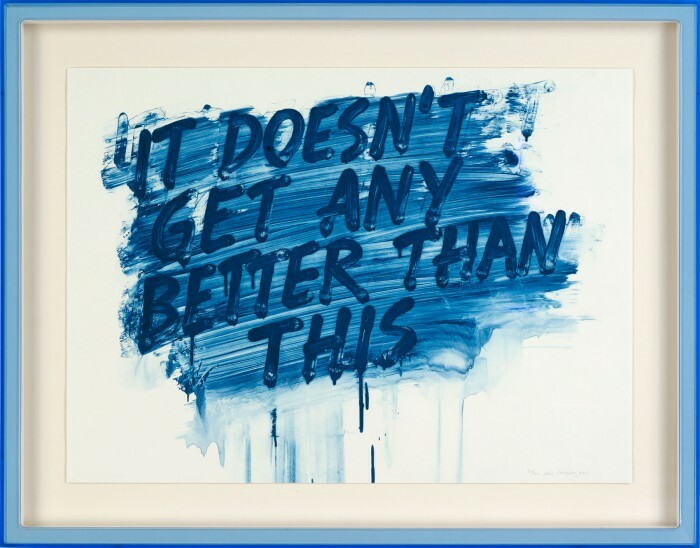 In Bochner’s work, perception constantly trumps idea, reaffirming the artist’s belief that the sensuous is an essential element in even the most conceptual art. 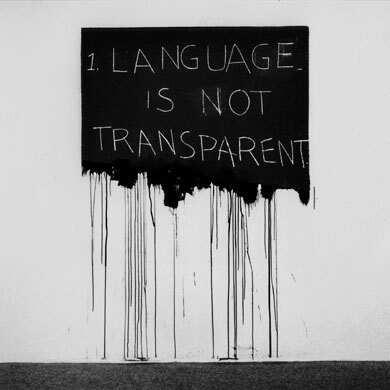 In 2004, Bochner’s work was exhibited in the Whitney Biennial and was part of OpenSystems: Rethinking Art c. 1970 at London’s Tate Modern in 2005. His pieces are held in several major museum collections, including the Museum of Modern Art in New York. In 2011, a retrospective of his work is being held at the National Gallery of Art. accompanied by a first comprehensive monograph, published by Ridinghouse, with essays by Achim Borchardt-Hume, Briony Fer, João Fernandes, Mark Godfrey and Ulrich Wilmes. 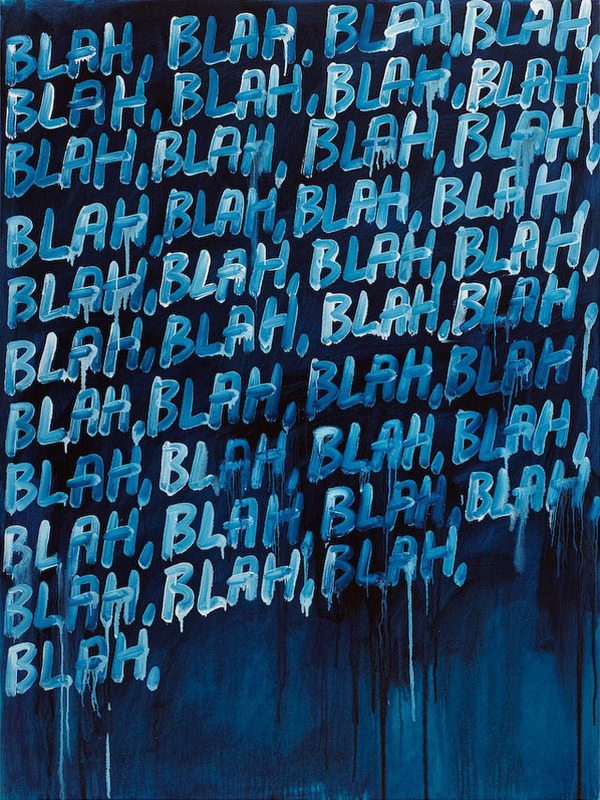 Mel Bochner is represented by Peter Freeman, Inc. in New York, Fraenkel Gallery in San Francisco and Marc Selwyn Fine Art in Los Angeles, CA. I hope you enjoy my piece today as much as I do. I’m really thinking about doing a large canvas with this same concept! 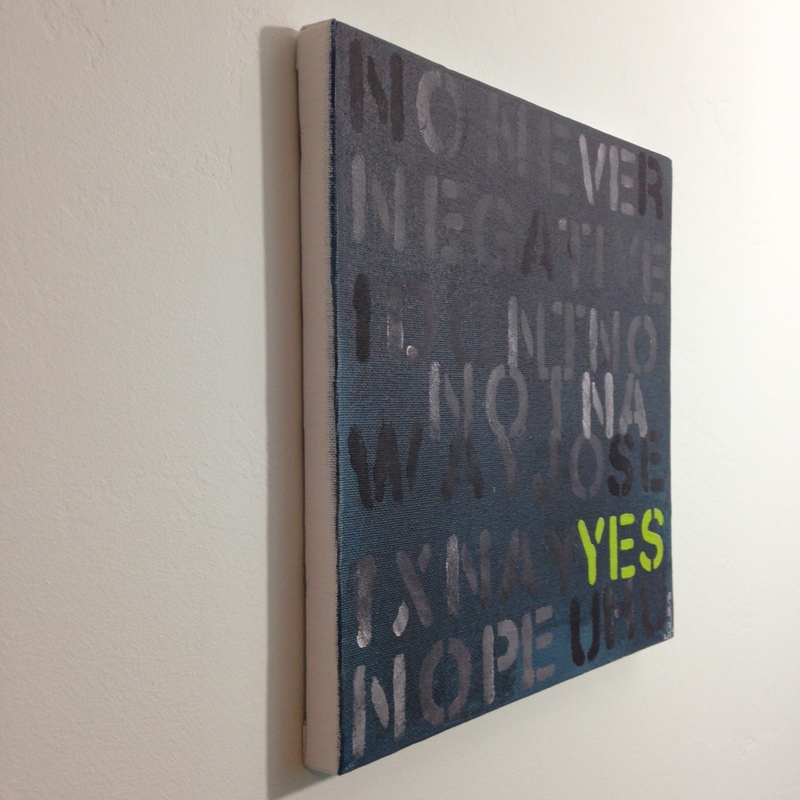 Thank you Mel Bochner for inspiring me. I will see you tomorrow on Day 245.